From the creator of “Memphis”, “I Love You You’re Perfect Now Change”, “Over the River and Thru the Woods” and “Nice Work if You Can Get it”, comes a real life Hollywood whodunit. The Village Rep is thrilled to announce the east coast premiere production of “Hollywood” by the Tony Award winning playwright Joe DiPietro. In 1922, famed director William Desmond Taylor is found murdered in his home. 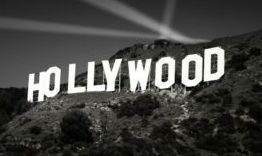 The celebrity suspects mount as the headlines explode with lurid reports of love triangles, hush money and deception. Enter Will Hays, Hollywood’s newly appointed moral watchdog, determined to silence the scandal and purify this increasingly corrupt city. Based on the true story of Taylor’s unsolved murder, “Hollywood” is a noir thriller set in the Golden Age of movies. Even more intriguing, the victim is a relative of Village Rep producing director Keely Enright.